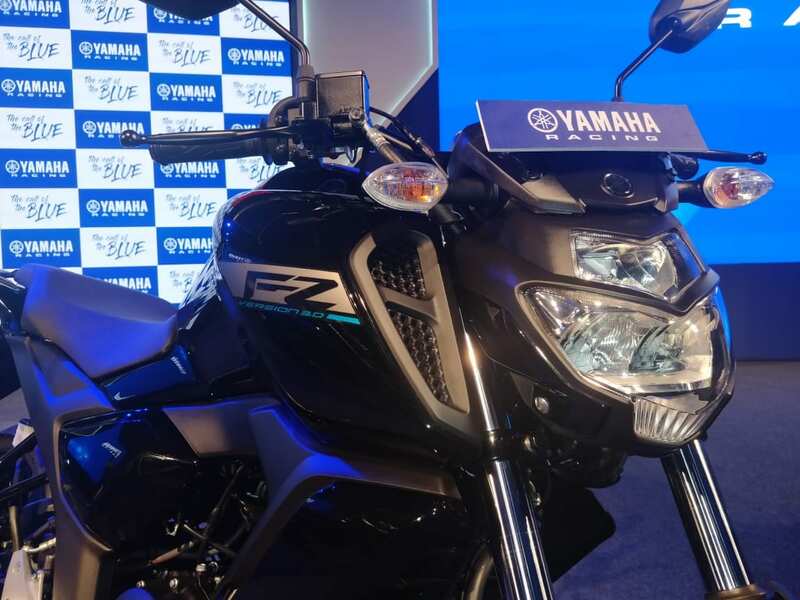 India Yamaha has launched the new-gen Yamaha FZ-FI V3.0 and FZ-S FI V3.0 in India today and we have all the highlights from the launch here. 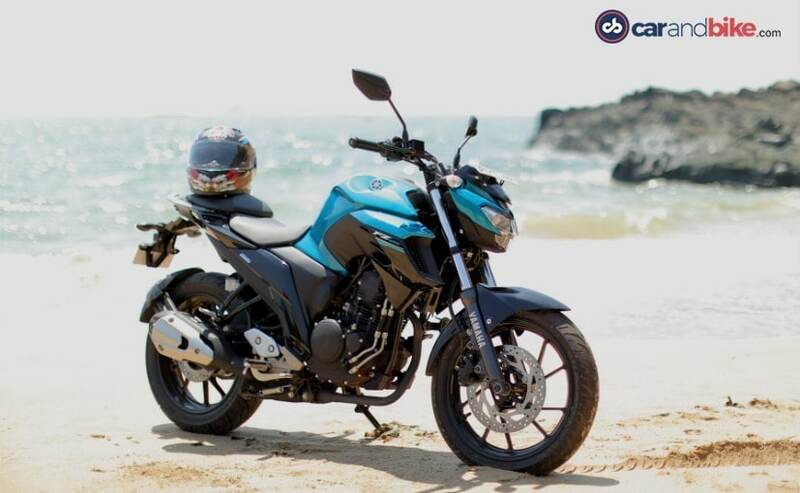 The third-generation Yamaha FZ range comes with improved styling, and new features, along with a single-channel ABS (anti-lock braking system) as standard. We were expecting Yamaha to launch it with ABS considering the deadline for mandating Anti-lock Brakes in bike 125 cc and above is April 1, 2018. In addition to that, Yamaha India has also launched dual channel ABS versions of the FZ 25 and the Fazer 25. The new Yamaha FZ-S V3.0 has already been spotted a multiple times, most recently in its undisguised avatar with all the badging intact. 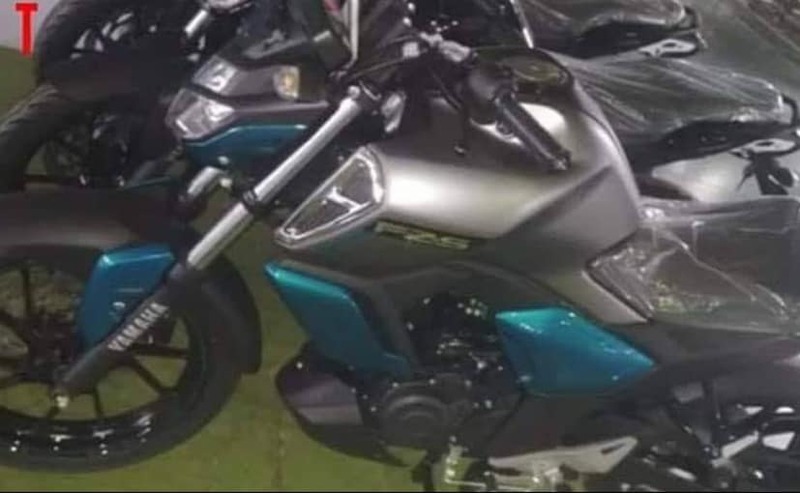 Based on the spy photos, the new FZ gets a new fuel tank, new panels and a new headlamp, most probably an LED unit similar to that on the FZ25. The other distinguishing bit that we could figure was the air-vent like structure towards the front of the fuel tank which is most likely beautification of sorts and might not serve any practical purpose. 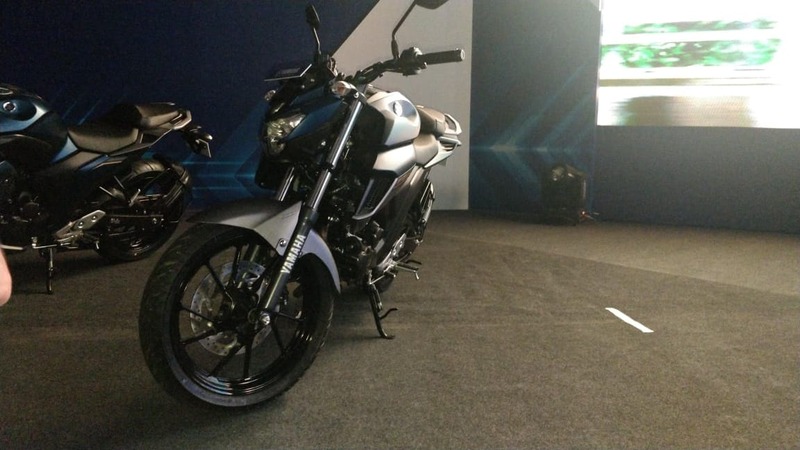 The current-gen Yamaha FZ FI V2.0 sells for Rs. 82,040 while the FZ-S FI sells for Rs. 88,042 (all prices ex-showroom, Delhi). 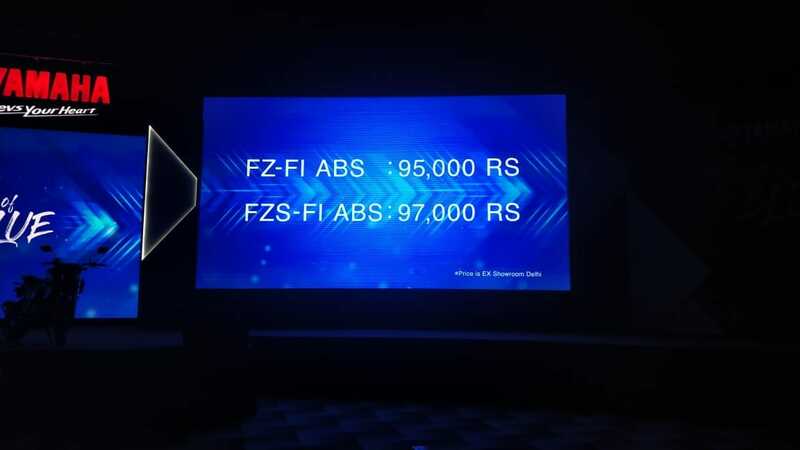 Expect the new-generation FZ to cost about Rs. 10,000 to Rs. 15,000 considering Yamaha offers ABS as standard fitment. Currently, the engine is tuned to generate a maximum of about 13 bhp and a peak torque of 12.8 Nm, while being mated to a 5-speed gearbox. We do not expect that to change. However, we would also like the new FZ to get a bump in power and torque output as the current model is the least powerful in its segment. 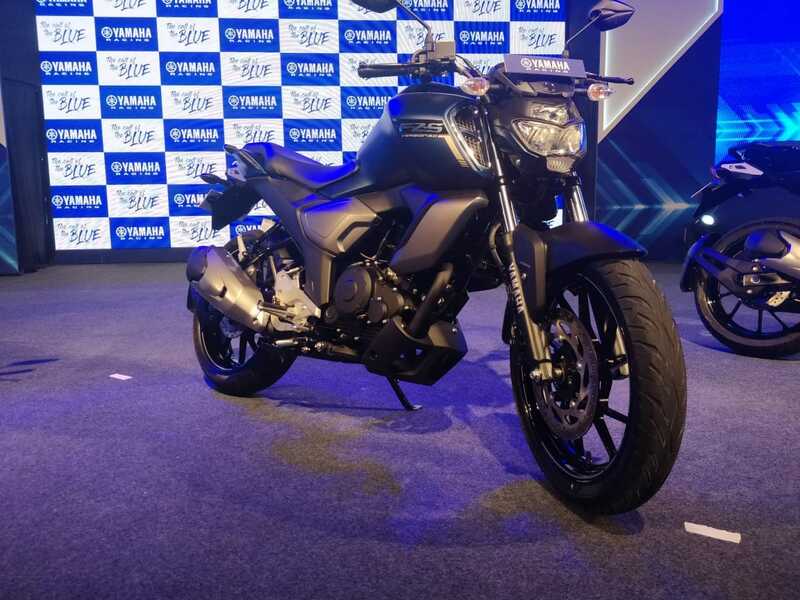 The 2019 Yamaha FZ 25, with dual channel ABS is priced in India at Rs. 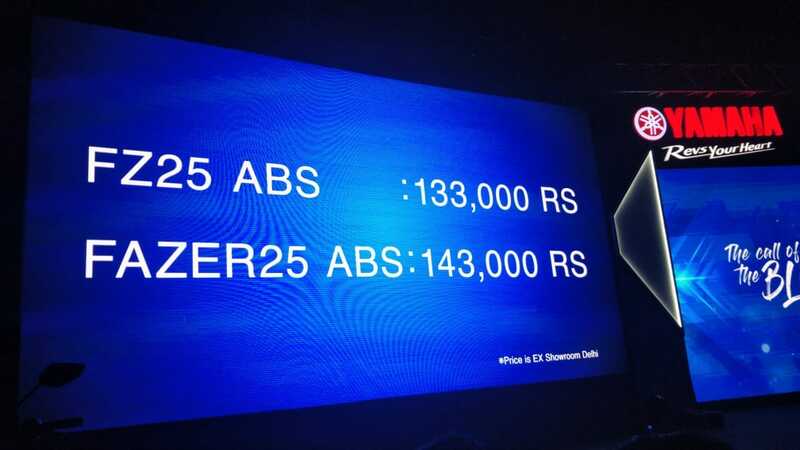 1.33 lakh, while the Fazer 25 with dual ABS has been launched at Rs. 1.43 lakh (ex-showroom, Delhi). Wait! there is more. Yamaha has also announced the launch of the 2019 Yamaha FZ25 and Fazer25 with dual channel ABS setup. Yamaha has officially launched the new 2019 Yamaha FZ V3.0 and FZ-S V3.0 in India. The former is priced at Rs. 95,000 and the latter at Rs. 97,000 (ex-showroom, Delhi). Both the Yamaha FZ V3.0 and FZ-S V3.0 will come with a bunch of new and updated features like – Fully-digital LCD instrument cluster, single-channel ABS, LED headlight, single-piece seat with 2 levels, and more. Yamaha will be offering the bike in a range of new colour and graphic options – three for the FZ-S and two for the FZ. Here they are finally! The new 2019 Yamaha FZ V3.0 and FZ-S V3.0 in flesh. We are just moments away for the big reveal of the new Yamaha FZ-S V3.0 now. Stay tuned! 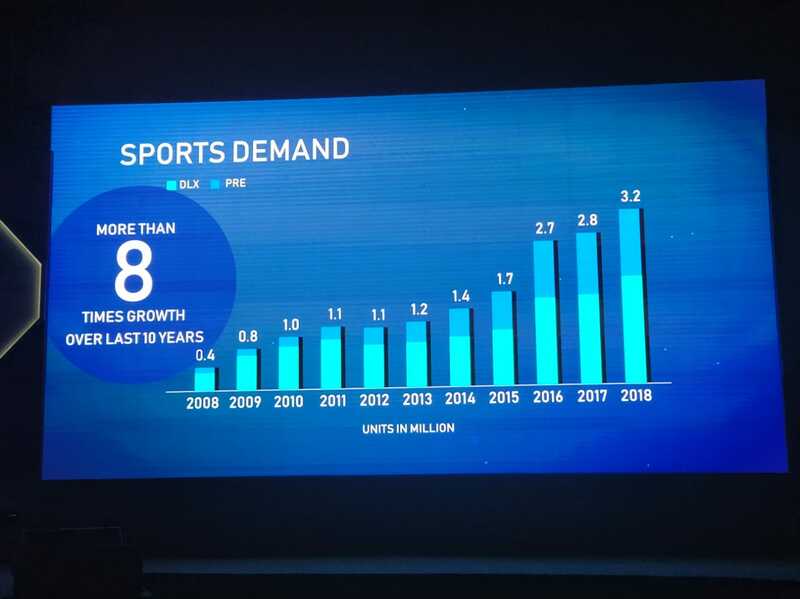 Similarly, the demand for scooters in India increased by 7.8 times in 2018. 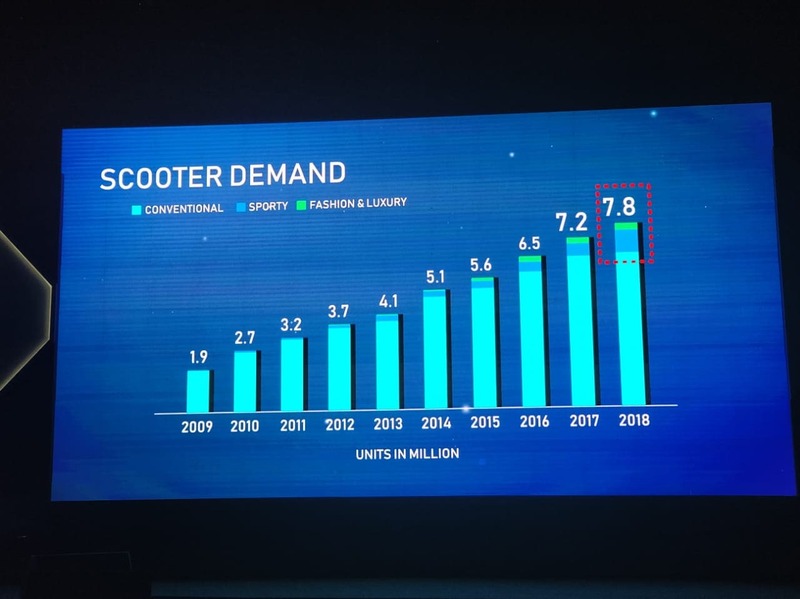 The demand for sporty and fashionable scooters saw a hefty growth last year. Yamaha India says the demand for the sportbikes has grown by 8 times in the last 10 years. 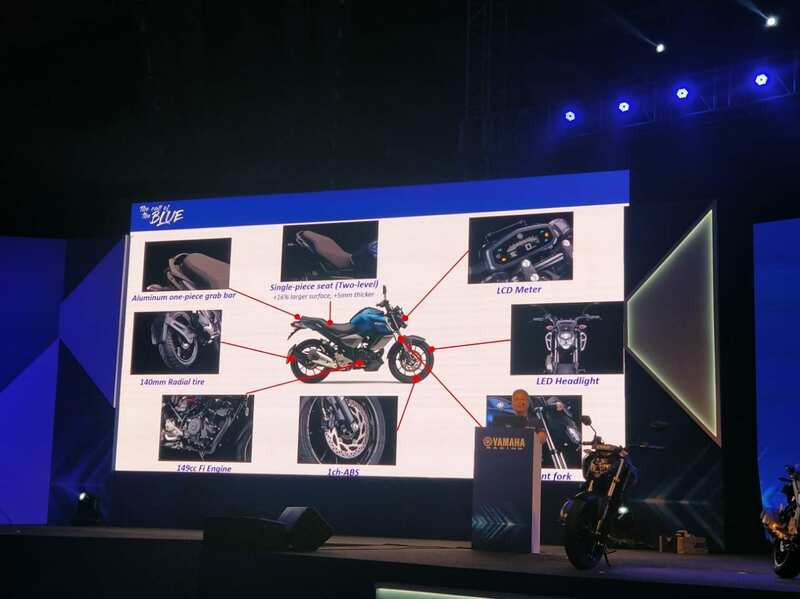 Yamaha introduced the YZF-R15 V3.0 in 2018 in the sportbikes segment in India. 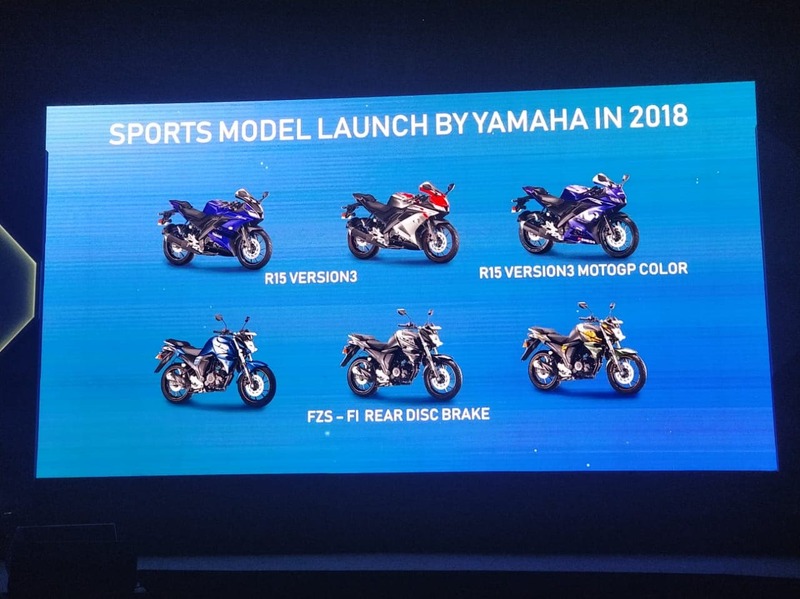 Yamaha India launched the new-gen R15 V3.0 and FZ-S FI with rear disc brake in India in 2018. 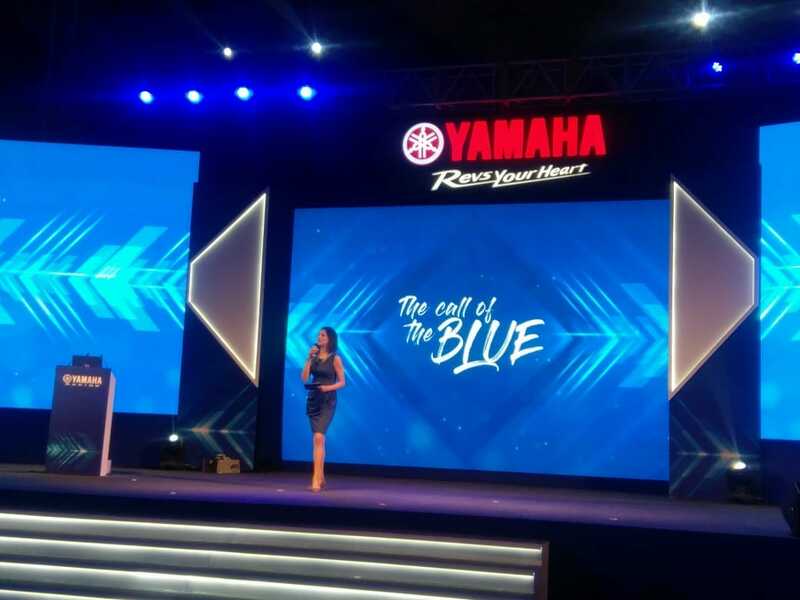 Shitara says the #CallOfTheBlue campaign was to bring “brand excitement” back to India Yamaha. The company added 80,000 new customers in 2018, courtesy of its campaign. 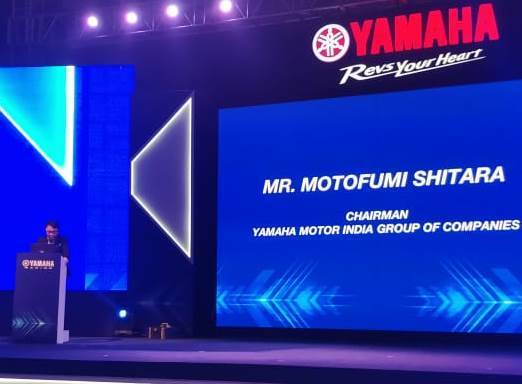 India Yamaha Chairman – Motofumi Shitara takes the stage. Says 2018 was an important the company with the manufacturer’s #calloftheblue campaign in place. Bringing the brand back to its racing genes. The launch event of the 2019 Yamaha FZ V3.0 has commenced. Updates of the bikes features, specs, and price to follow. 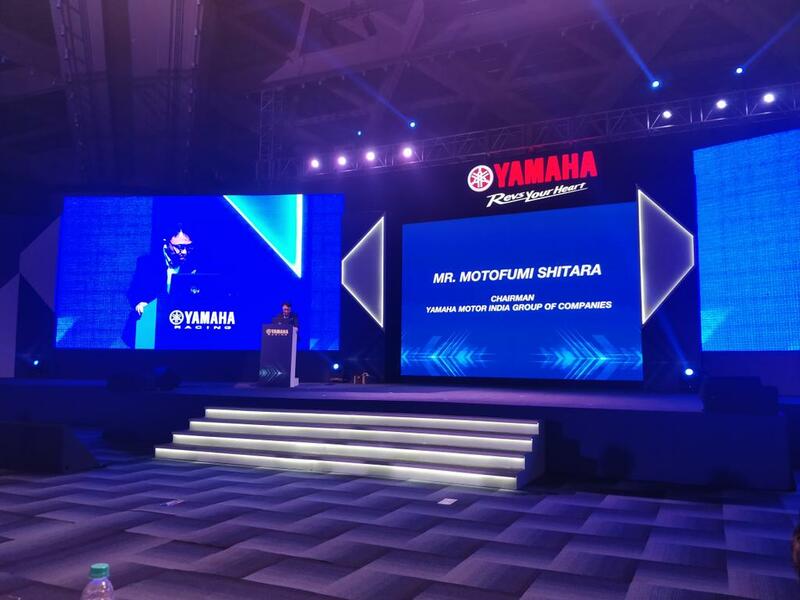 2019 Yamaha FZ-S V3.0 India Launch – The Stage Is Set! 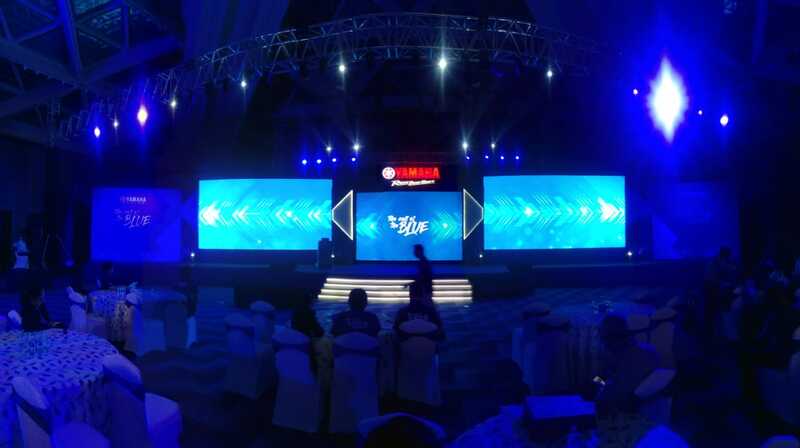 The stage is set for the launch of the new Yamaha FZ-S V3.0. Stay tuned for more updates. The new FZ gets a new fuel tank, new panels and a new headlamp, most probably an LED unit similar to that on the FZ25. The bike also gets air-vent like elements for styling and new FZ-S badging, based on the spy images. The Yamaha FZ V3.0 is the first new model from to Japanese two-wheeler manufacturer to be launched in India in 2019. 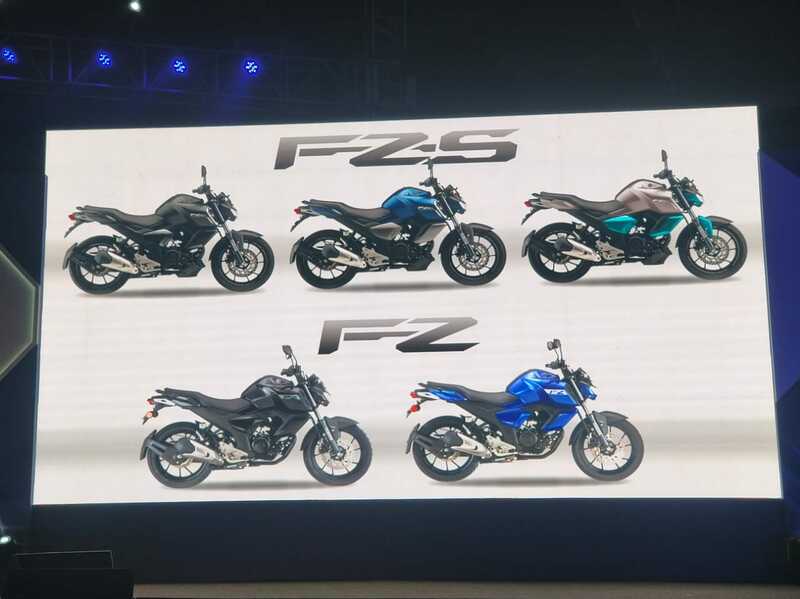 The bike will get new design and styling cues, some of them inspired by the FZ25. Yamaha is all set to launch the new-gen FZ and FZ-S in India today. So, keep watching this space for more updates.